Alaska . Barrow . 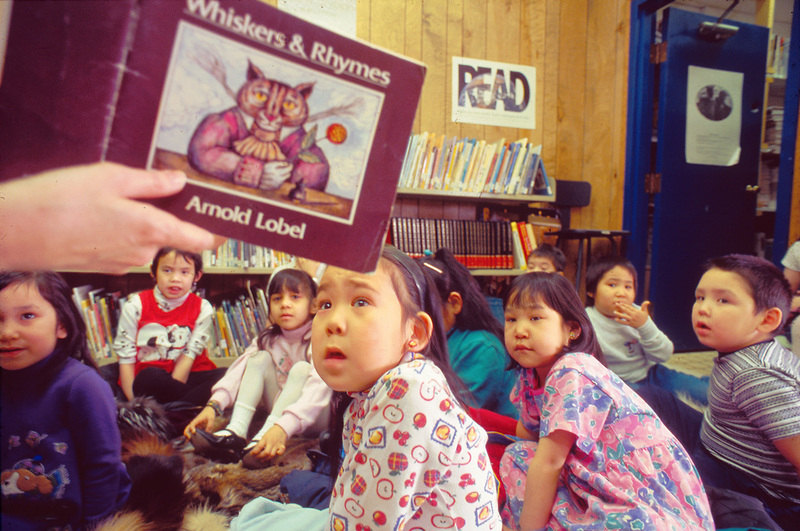 Elementary schoolchildren have a book read to them at the local library .